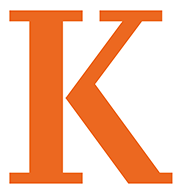 Eight students from Kalamazoo County high schools and one Kalamazoo College first-year student will receive Heyl scholarships to attend Kalamazoo College in the 2018-19 school year, majoring in math or science. The prestigious scholarships, available to accomplished Kalamazoo-area math and science students who meet certain requirements, cover tuition, rooming and book fees. The scholarships were established in 1971 through the will of F.W. and Elsie L. Heyl. F.W. Heyl was the first director of research at the Upjohn Co. and taught at Kalamazoo College. 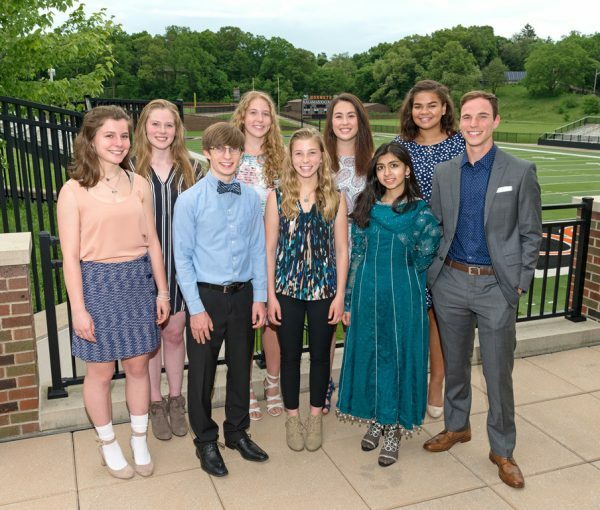 Honored at a dinner at the College, the scholarship winners are (from left): Evelyn Bartley (Loy Norrix High), Eva DeYoung (Loy Norrix High), Sam Ratliff (Kalamazoo College), Madeline Guimond (Loy Norrix High), Molly Ratliff (Loy Norrix High and Kalamazoo Area Math and Science Center), Alina Offerman (Loy Norrix High), Syeda Tooba (Parchment High and Kalamazoo Area Math & Science Center), Tatianna Tyler (Kalamazoo Central High) and Thomas (Jake) Fales (Kalamazoo Central High). Five other students received Heyl Scholarships to attend Western Michigan University’s Bronson School of Nursing. This entry was posted in News Stories, Student Honors and Awards and tagged heyl, math, scholarships, sciences, students, . Bookmark the permalink.